I have spent most of my time in the halls of the State Capitol these past few weeks, advancing pro-life legislation and discussing other bills that impact the pro-life cause. In fact, I didn't leave the Capitol until after 7 PM last night! This afternoon, the State Senate could vote on a number of important bills, including our Adoption Option Act. Please email your State Senator now! On Thursday, the battle shifts to the courts. The State of Louisiana, represented by Solicitor General Jeff Landry and his Solicitor General Liz Murrill, will argue before the 5th Circuit Court of Appeals as to why Louisiana's 2014 law requiring abortion facilities to have admitting privileges at a local hospital should be treated independently from recent bad Supreme Court decisions. This case had legal ramifications even beyond Louisiana's admitting privilege law. Say a prayer that Louisiana is successful! P.S. We are excited that abortion decreased in Louisiana again! Let's continue the forward progress until all babies are saved from the violence of abortion. State's Abortion Rate Falls for 3rd Straight Year! 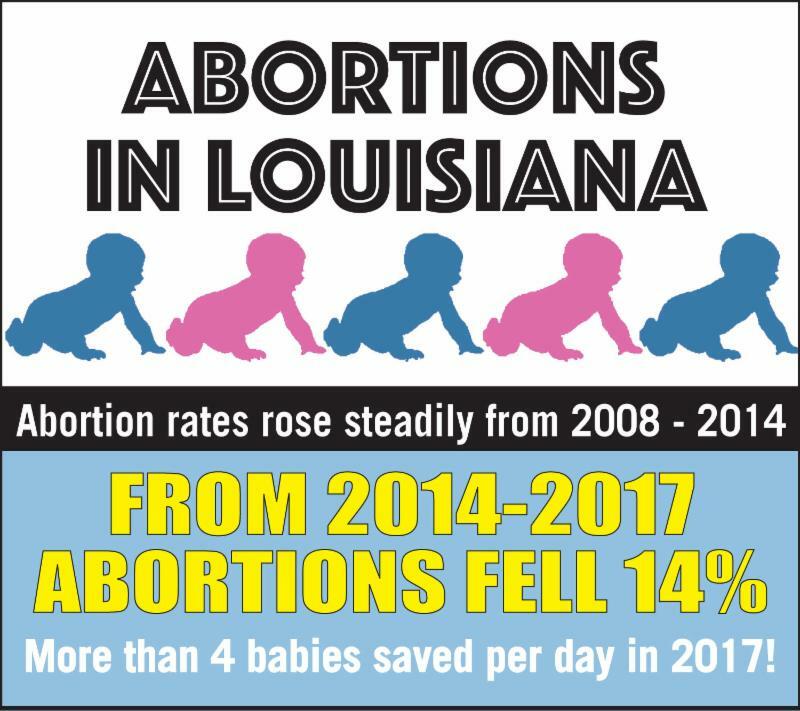 The number of abortions performed in Louisiana decreased by 3 percent from 2016 to 2017, according to preliminary figures from the Louisiana Department of Health, and it's the third straight year abortion numbers have dropped. While that is good news, there were still 8,706 abortions performed in 2017, and an average of 24 women still have abortions every day in the state. This means there is still much work to be done! 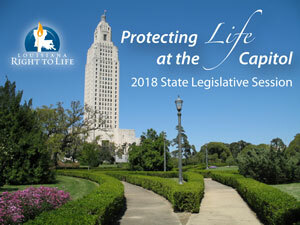 The Senate is expected to vote on Louisiana Right to Life's 2018 flagship legislation, "the Adoption Option Act" (HB449), this week. PLEASE EMAIL YOUR SENATOR AND ASK THEM TO APPROVE THIS BILL! HB 449 and three other pro-life bills aimed at pulling our laws passed in previous years from the confines of federal court were approved by House, have advanced out of the Senate Health and Welfare Committee and await Senate vote. Bowties for Babies: A Southern Style Soiree Benefiting Life, was held April 17 in Baton Rouge, and was once again a success thanks to you! 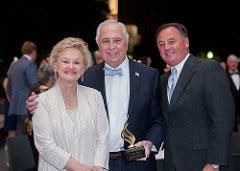 The event featured the first House vs. Senate Family Feud and a special presentation to 2018 Leadership for Life Award winner, A. Hays Town, as well as dinner, music, a silent auction, and a live painting by Stephanie Torregrossa. 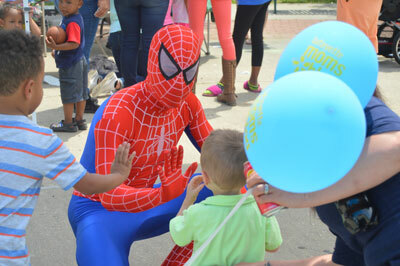 Were you among those who attended the first Acadiana Life Fest on April 23? The event brought pro-life families together and drew passersby who were able to learn more about the pro-life cause. The morning started with a 5K, and the festival included children's games and activities, vendor and information booths, music, food and more! Read More About Life Fest! 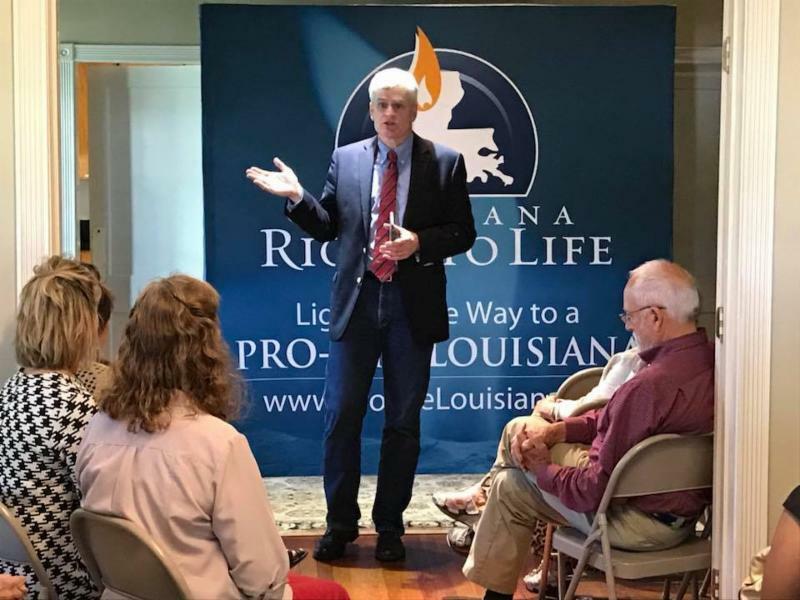 U.S. Sen. Bill Cassidy stopped in Lafayette Monday for a "Meet and Greet" at the DesOrmeaux Foundation Building. Lunch was served, and Cassidy visited with pro-lifers in attendance and discussed important issues. 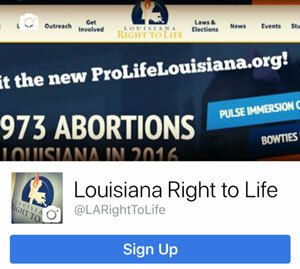 Do you follow Louisiana Right to Life on Facebook? It's a great way to keep up with pro-life news in Louisiana and beyond! Like us today, comment on our posts, and stay engaged with other pro-lifers on social media! The second annual Poo-Dat Diaper Drive ended yesterday, but if you are in the New Orleans area you can still donate diapers and baby wipes at the Louisiana Right to Life headquarters, 200 Robert E. Lee Blvd., and we'll make sure they get to families in need. Last night, members of the New Orleans PULSE team helped LARTL staff count the 7,144 diapers collected in the NOLA region during the drive. (BR numbers still to come!) A big THANK YOU to those who donated at a Robert's Fresh Market location in the New Orleans and Baton Rouge areas. The 2018 PULSE Leadership Institute in Baton Rouge is June 18-22, and registration is now under way. This will be an exciting week for high school and college students to dive into the pro-life cause. Sessions go beyond abortion into adoption, euthanasia, physician assisted suicide, human trafficking awareness, bioethics, third party reproduction, disability discrimination, and more! There are also field trips and pro-life activism events! Have you registered yet? If not, please register today and reserve your place! Spots will be filling up fast, so register now!